and genetic defects due to inbreeding. Find out how to responsibly adopt a pet. What do I need to do to adopt a pet? We’re thrilled you’re considering taking the first step: a visit to our website and see the pets available for adoption. You’ll fill out an application form here and talk about the kind of pet you have in mind with an adoption coordinator. They know each of our pets available for adoption and can help you focus on those that are ideal for your life and home. You and your new pet will live together for a lifetime, so this step is important. You’ll have one-on-one quality time with potential matches. You could make a connection instantly, or it may take a few visits. We will work with your schedule to arrange one of our home checkers to visit your home and to consult with you if any alterations or additions are needed in order to keep your new family member safe and happy. Families adopting a one of our lovely pets need to enter into a contract with us just to make things official on the transfer of pet ownership. We just want to make sure that everything is crystal clear and that there are no future misunderstandings or disputes. After all, we want whats best for both the family and the pet. Any additional paperwork is completed at this time and the adoption donation is collected. Your adoption is officially complete once the adoption agreement is signed, but it’s just the beginning of happily ever after for you and your new family member. See some real furever and purrfect endings here. What are the requirements to adopt a pet? You must provide an ID with current address. You must be at least 21 years of age. If adopting an adult dog, the entire household must meet the dog prior to adoption. If adopting a younger dog (puppy or teen dog), the primary caretaker and all children under 18 must meet the puppy prior to adoption, and the other spouse must give approval (via phone is OK). If you own a dog now and want to adopt another, we encourage this and ask that you bring your dog to our sanctuary for a meet-and-greet. Be sure to bring your dog’s veterinary records to show it is up-to-date on its shots and that your current pet has been altered. Please note that to prevent adding to the population of unwanted pets, it is 2nd Chance 4 Life’s standard policy not to adopt an unaltered pet. We do not do mass adoptions as we believe that each pet needs time, love and attention to settle in to a new environment. If someone is adopting two or more pets at the same time and they are not siblings or have been together in our center then the new environment together with another stressful pet can cause unwanted problems. We take many things into consideration when making a decision about placing our pets in homes. Every situation is different, so please understand that we are trying to make the best match for both you and our furry friends. How do I make the right choice? 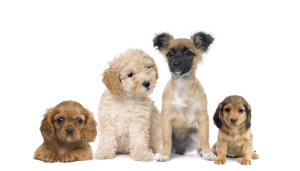 Don’t decide on a breed of pet that sounds like the best match for your home, without taking into consideration the often WIDE variation in physical and personality characteristics of individual pets. Make sure to spend time and get to know the actual pet you are going to adopt as much as possible, before deciding to adopt that individual pet. Don’t adopt a new pet without doing some self reflection, planning and research first. How much time do you have in your life right now to bring in a new pet that may require training? Are you financially ready if your new pet is injured, or gets sick? For more questions to ask yourself, see our past blog article Tips to Finding the Perfect Family Pet. Don’t make an impulse decision on-site. It can be overwhelming when there are so many adorable furry faces begging you with their sad yes to “pick me pick me” and take them home! If you get emotional, take a more objective family member or friend along to make sure you are making as good and rational choice of a match for your lifestyle and pet experience. Don’t let your kids sway you to pick an inappropriate pet. While involving your children in the pet adoption selection and adoption process is a wonderful way to teach them about responsible pet ownership and many other important life lessons, you as the adult need to make sure the pet you adopt is a good selection. Do involve children in age-appropriate decision-making parts of the adoption process: they can help pick out the new pet’s toys, or a color of collar, and certainly making sure they and the pet get along is important too! See our past blog article for more ideas at: What Can Adopting A Pet Teach Your Children. Are the pets which are up for adoption healthy? Pets adopted from 2nd Chance 4 Life are healthy. We employ qualified vets to evaluate the condition of each animal upon arrival. Ill animals receive appropriate treatment for their ailments immediately. Immediately upon arrival into our care all of our pets have the 4DX test (heartworm disease, Lyme disease, ehrlichiosis, and anaplasmosis), All the vaccinations, deworming, rabies inoculation, flea and tick treatment and the government veterinary services Leishmaniases test. Furthermore, our organization 2nd Chance 4 Life keep the animals under our care current on all of their vaccinations, and we spay or neuter our pets when the age and condition of the animal permits it. When we say our pets are available for adoption we mean that they are healthy and suitable for adoption. Where do your donations go to?